This is another very easy to read piece on Elinor Ostrom's work that was written by Kevin Gallagher (professor of International Relations at Boston University and a research fellow at the Global Development and Environment Institute) for his Guardian column. 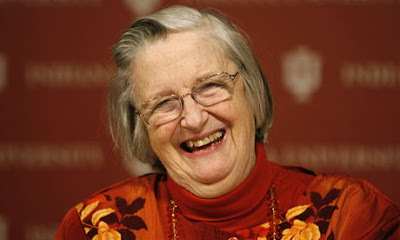 The title is 'Elinor Ostrom breaks the Nobel mould'. We will be discussing these issues in a few weeks when we start to focus on so-called market failures and, as I mentioned in one of my two sections, her work will help me provide a basis for evaluating the typical conclusions derived from analyzing the 'tragedy of the commons'. The whole Guardian article is found here. Enjoy. PS: An interesting account of her work is found here. Great job mate !.. keep up the gud work going ! ..